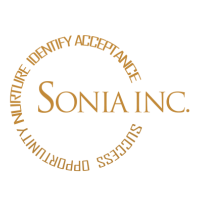 The mission of Sonia Inc. is to connect Madison County and St. Mary Parish youth in 7th through 12th grades with safe, positive adult role models who will offer support, guidance and friendship and help the youth make healthy life decisions. Where success, opportunity, nurture, identifying, and acceptance will help produce mature young adults. There are many ways you can help, from volunteering to help us to raise funds or suggesting someone you know who might make a good mentor, to making the decision that mentoring a child is right for you. We encourage you to pick up the phone and call us at 855-504-0313 to find out more.